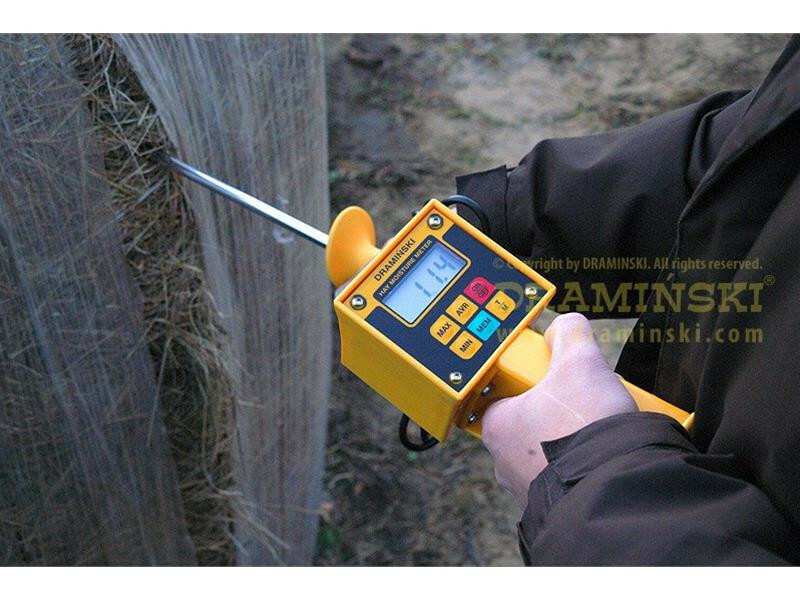 Draminski Hay and Straw Meter - Moisture Meters - Monitoring Equipment. The Draminski Moisture Meter for Hay and Straw is a robust, fully featured digital tester for accurate testing of moisture and temperature in baled hay and straw. The Draminski meter is the ONLY meter on the UK market that will read both moisture AND temperature and has the widest range of moisture readings available: 10% to 80%. 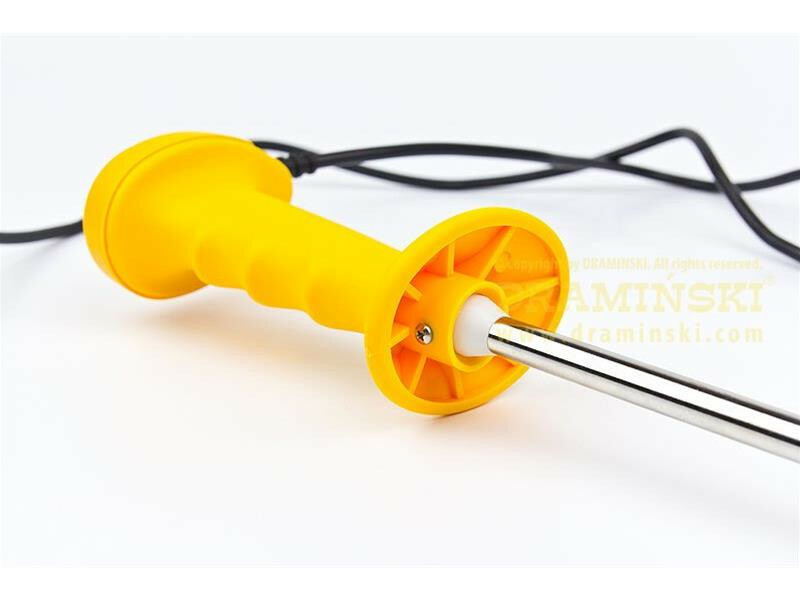 Simply place the stainless steel probe into the baled hay and straw and read off the moisture or temperature on the handheld digital display. Readings can be entered in to memory and a running average, min and max levels can be recalled at any time. 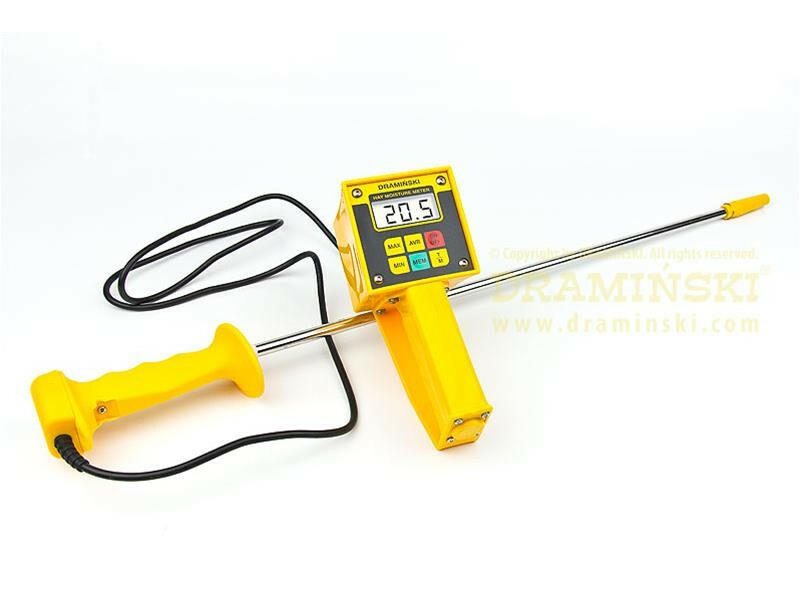 The Draminski Moisture Meter for Hay and Straw is supplied with probe, interconnecting lead and battery operated hand held digital display. Uses standard PP3 battery (also supplied).